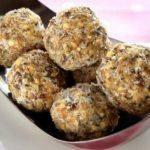 Home Recipes Back to School Fiber Balls (Brain Food) And, No-Bake! Have you ever heard of brain foods? Our brains require nutrients. Eating the right foods can impact your concentration, mood, and memory. These foods are as much for kids as they are for adults. We can all benefit from brain foods, like these energy balls! 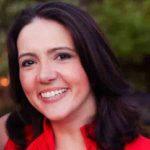 It’s time we start sending our kids to school with bellies full of fiber, antioxidants, and vitamins. Most kids’ breakfast foods are full of added sugar, artificial colors and lack proper amounts of fiber. These foods are not helping our kids concentrate at school. Scientists at Tufts University in Boston found that a diet rich in walnuts may improve mental performance. That’s why we have included them in these delicious fiber energy balls. Rolled oats, coconut, and flaxseed also top the list! Check out the full list of brain foods and see how many you can add to your weekly meal plan. If you don’t know where to buy some of these foods, check out our mega list of high fiber add-ins and superfood add-ins you can buy through Amazon. If you’re not familiar with cacao, you probably didn’t realize you’ve likely been eating it’s family member for quite some time. In fact, cacao is the rawest form of chocolate, before it becomes processed with dairy and sugar. Cacao nibs are rich sources of antioxidants, vitamins, minerals, and fiber. I grew up having cocoa. Unfortunately, when restaurants and food manufacturers prepare it, they take out almost all the antioxidants during the heating processing and they add a lot of sugar to make it taste sweet. Cacao nibs have a more bitter taste, so the added sugar balances out the robust flavor. Honey is used in this recipe which adds some valuable nutrients and a touch of subtle sweetness. Read more about the health benefits of honey. However, honey loses some of its health benefits when cooked at a high temperature. 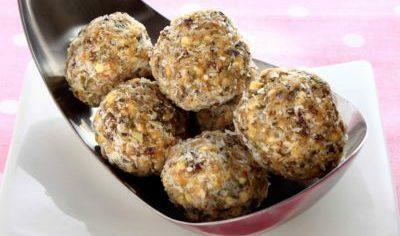 Since these are no bake energy balls, they preserve the health benefits of honey. Have you heard of brain foods? Some of these ingredients might seem obscure at first. But, these are great staples to keep stocked in your pantry for optimal brain power. 1 Cup Old Fashion Rolled Oats Find your preference. Add or subtract oats until you get the consistency you like best. 1/2 Cup Cacao Nibs These are nature's chocolate chips. Throw all the ingredients into a big bowl and mix it all together. Note: Letting the balls rest allows the chia seeds to soak a little before putting them in the freezer. If you skipped the chia seeds then there is no need to wait before forming them into balls. Arrange fiber balls on a baking sheet and freeze until set, about 45-60 minutes. Serve for breakfast, snack or on top of yogurt.